Some people talk about their pets, but I don't have one. Other people talk about their favourite sport, but my favourite sport is very common. 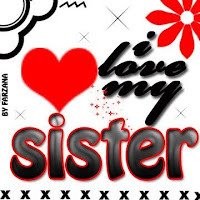 I prefer talking about my sister. Her name is Margarida and I love her. She is seven years old and she is much naughty and gentle. She has got curly hair, blue eyes and she is very short for her age because she doesn't like eating. She weights only 17kg. She looks a little like me! She loves playing, walking, watching TV and painting. She speaks a little English too, but not much, because she is a child and it is a little hard for her to speak in English. She is intelligent but she doesn't like school very much. She is a little lazy and is always saying that she has no time to play, that's too much homework. When she grows up, she wants to be a cook. She has always wanted it. While her friends want to be hairdressers or teachers, she always said she wanted to be a cook. This is my sister and I love her.